Heroes, Heroines, and History: Dirigibles, Balloons, and Flying Machines...oh my! Dirigibles, Balloons, and Flying Machines...oh my! 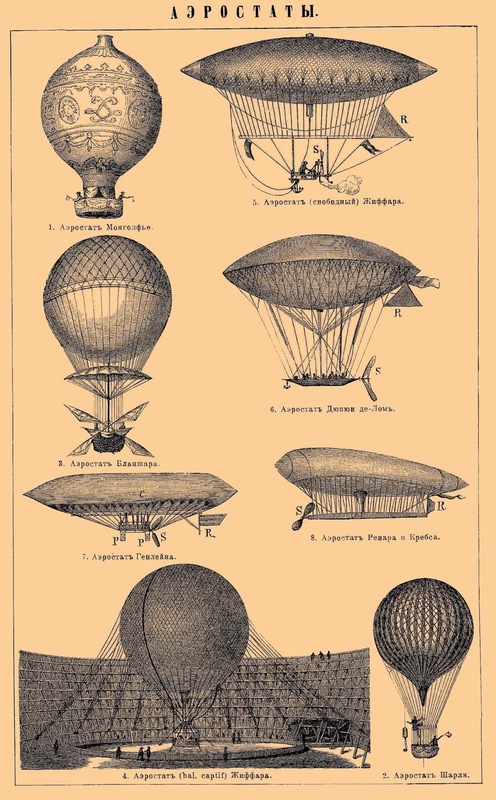 When you think of dirigibles, balloons and flying machines, do you expect to learn that these modes of transportation go all the way back to the eighteenth century? I certainly didn't! According to my research, the Montgolfier brothers were the first to send up a balloon beyond the one-mile mark in 1783. Later that same year, a French physicist made the first manned balloon flight. 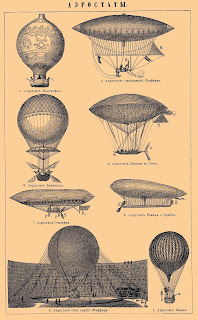 To put these flights into perspective, there was no means of propulsion available to these intrepid inventors, so their balloons were left at the mercy of the wind until a steering mechanism was invented many years later. 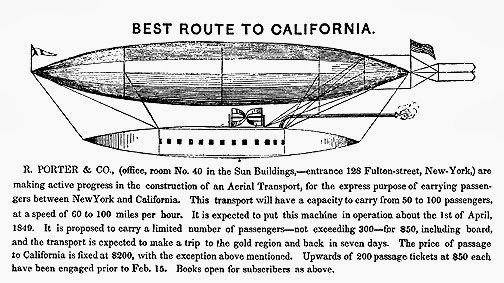 In my latest novel, Millie's Treasure, the Pinkerton agent hero finds a pamphlet called Aerial Navigation: New York to California in Three Days among Millie's books in her library. What readers might not know is that this pamphlet and its author, Rufus Porter, form the most interesting story I found while searching for information on these fascinating flying machines. Of course, there's nothing new about flying across the country from the East Coast to the West Coast, but when you consider that Mr. Porter was offering a chance to make this flight in 1849, that chances things, doesn't it? So who was Rufus Porter? He was a prolific inventor who received patents for a number of inventions including a washing machine, a corn sheller, and a revolving rifle that was sold to Samuel Colt for the princely sum of $100. His idea of flying miners out to the California gold fields was one he felt would be quite successful. Porter offered space for 50 to 100 people on his Aerial Transport at the cost of $200 each. Traveling at expected speeds of 60 to 100 miles per hour, round trips to the California gold fields were projected to take a quick 7 days! Unfortunately, after three attempts that were derailed by weather and vandalism, Porter scrapped his plans. 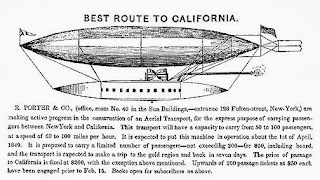 As a postscript to this story, modern scientists have since marveled over the forward thinking technology of Porter's airship, and most agree that had he actually managed to complete the building of this invention, it would have very likely performed exactly as Rufus Porter claimed it would. Can you imagine how something like Mr. Porter's Aerial Transport might have changed history? Talk about a gold rush! Bestselling author Kathleen Y’Barbo is a Carol Award and RITA nominee of fifty novels with almost two million copies of her books in print in the US and abroad and nominations including a Career Achievement Award, Reader’s Choice Awards, Romantic Times Book of the Year, and several Romantic Times Top Picks. A proud military wife and tenth-generation Texan, she now cheers on her beloved Aggies from north of the Red River. Find out more at www.kathleenybarbo.com. That must have been a lot of fun to work on! I find it all fascinating, and expect to see this crop up in the steampunk genre here and there. Thanks for sharing! Kathleen, thank you for this interesting post. Smart, creative minds are amazing. Writers fit right up there with those smart, creative minds. Thank you for what you do and how about those Aggies---Whoop!!!!!!! Hi Kathleen, interesting post. We just never know where our research will take us, do we? Exactly! That's what makes it so much fun! It's mind-boggling to think about it, isn't it? Up up and away! What a fun post, Kathleen. Thanks! My husband and I were part of a three person crew in a hot air balloon last fall. When the wind died, our pilot made a graceful emergency landing on a golf course. What an adventure; kind of like writing. Oh wow, Julia! Not sure I would call that fun, but it's certainly a memorable adventure!! :) Ooh boy! When I saw the title of this post, I was like, could it be more perfect for me!? Actually, I sort of did know about the history of this tech, because I have always been akin to learning as much as I can about da Vinci, and whilst doing that, I started to unearth just how far progressed science and tech was in the centuries you'd least expect to find such advances! Then, again, there is a heap of tech advances from the mid-20th century that surprised me as to not having the footing to see to fruition! If only he could have found success! Your quite right, not only for the gold rush, but what of air travel as we know it!? You touched on the reasons I am drawn into Steampunk novels! Yes I am the Pinkerton author! I'm so glad to hear you're a fellow steampunk fan. Be sure to let me know how you like the books! Wonderful inventions, for sure, but don't think I could have handled being in an air balloon for 3 days at a time - what were the dimensions? That being said - I love looking at air balloons, especially the moon glows, at night - but don't think I have the courage to go up in one. Thanks for your post, Kathleen! Apparently Mr. Porter's device was expected to hold at least 40 people. Can you imagine?? Loved this, Kathleen. I wasn't home long yesterday, so just got around to reading it this morning. I've always wanted to go up for a balloon ride. When we had dirigible base here in Houston, I always thought how fascinating it would be to go up in one, but never did it. I'm playing catch-up today, too. I remember when the Goodyear Blimp was moored up on I45 in Spring. I always wanted to take a ride. However, before that, I lived out near the West Houston airport where they held regular Saturday morning balloon launches. Sometimes we would sit on the back deck on Saturday morning and watch dozens float over the house. It was awesome to watch, but I don't think I'd want to ride in one of those.